Internationally known New Sammy's Cowboy bistro has been in business in Talent, Oregon for the last 28 years. Located on 1 acre zoned general commercial in a high visibility spot between Ashland & Talent. Besides this valuable zoning, the property features extensive organic gardens and orchards, the original restaurant building (1173 sq ft), full bakery space (666 sq ft) new stucco structure for additional dining of 1296 sq ft not including outside patio, a lovely temperature controlled wine building with tiled roof (480 sq ft) and an older mobile home or home site approval for a new home. This property is on a public sewer system, has a well & gets most of its water from the highly producing spring on the property. 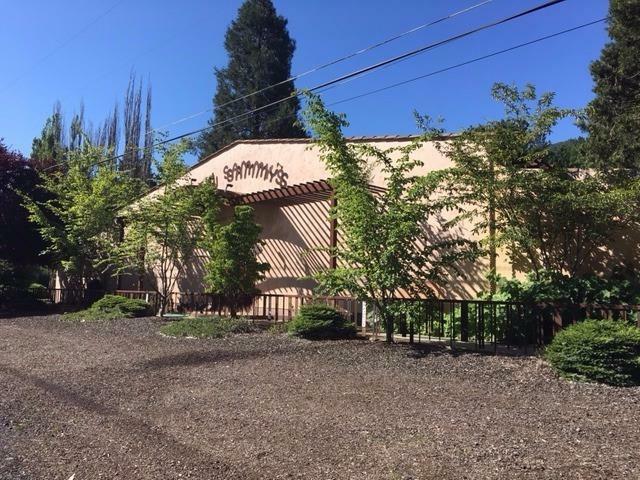 Perfect commercial property for a farm to table restaurant, a tasting facility for a winery, a bakery, organic gardens or an upscale farm stand, or a combination of all these things.